The Steel Signature Series we take an excellent airframe and refurbish it. Think high-end automobile restoration not just slapping some new cosmetics on it. The plane is a 2018 Steel Edition that starts as a G2 airframe. 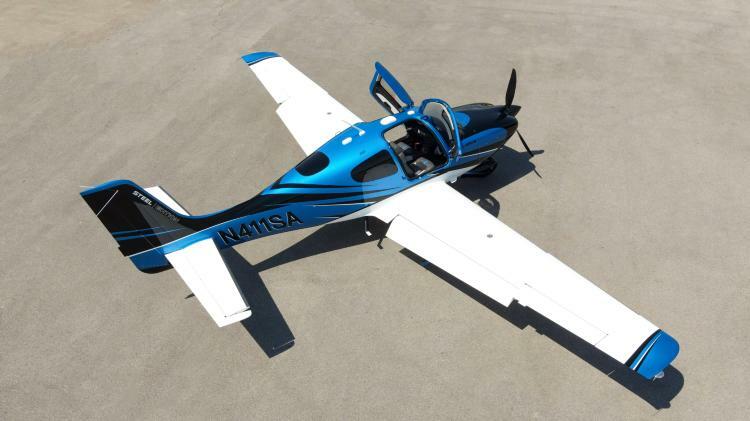 If you cannot or do not want to afford a gorgeous new Cirrus aircraft, this is your next best option. You have an extreme amount of value built into this aircraft compare then call us. A limited number of these aircraft will be in production each year. These are handcrafted highly detailed renovations this is not a production finish aircraft we believe when spending this amount of money only the finest will suffice. Backed by Steel Aviation Spinner to Tail One Year Warranty and SteelCare where we build more value in this aircraft by replicating the Jet engine programs only we take it steps further by including your engine, propeller, parachute repack annual base rates, and Avidyne warranty all at $99.00 per hour! Limited Editions these planes are exceptional in every way! Special financing rates for qualified buyers call to learn more! WAAS installation completed the CORRECT way no VELCRO here guys! The paint not your typically aircraft finish. This plane has been restored from the ground up. Skyscapes by Sherwin Williams paint Sterling Silver, Imperial Red, with black accents. Cleared with several layers to allow an in-depth glossy mirror-like shine. Run your hands along it and all paint NO DECALS, I am sure you will gain a few knots without the drag. It does not get much better than this guys. This plane will turn heads! Interior has been refurbished complete with new foam and padding making these Cirrus seats a dream to sit in, gorgeous leather with beautiful detailing complete with matching blue stitching. Think luxury automobile. It is exceptional. Enjoy that new plane smell without the cost.